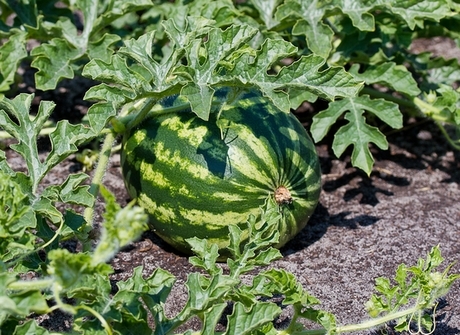 The imported watermelon market is currently seeing a little more volume on product forcing some shifting in the market. Currently approximately 20-30 loads per week are arriving from Mexico via Nogales, which is about normal notes Harrison. “But I believe now that Guatemala has started production, it’s about 200 loads for the week that came into the U.S. I assume that it’s a bit more than last year,” says Harrison. Other countries, such as Honduras, are also shipping minimal volume at this time. That new volume of melons coming in is one factor that’s affected pricing on melons. “I’ve seen a slide on the market over the last two weeks. We had prices over .50 cents/lb. and now we’re seeing prices around .25-.30 cents/lbs.,” says Harrison. “It’s a combination of more volume and weather. Also, the market got so high that some people pulled it off of shelves. We priced ourselves out a little bit.” Overall, prices right now are a bit lower compared to last year.